Dreamtime - Commentary Inspired By Bob Dylan's Theme Time Radio Hour: Hank Snow and Bob Dylan Revisited - "The Drunkard's Son"
Hank Snow and Bob Dylan Revisited - "The Drunkard's Son"
To wind up yesterday's one-day wonder, Christie's issued a statement acknowledging that "Little Buddy" was written by country-western great, Hank Snow, not by the 16-year-old Bob Zimmerman, and have corrected the description on their site to read: "Handwritten lyrics to the Hank Snow song Little Buddy by the teenage Bob Dylan as a camper at Herzl Camp in Northwestern Wisconsin during the mid-1950s for publication in the camp newspaper The Herzl Herald." It's good to see that the auction goes on, as the proceeds from the transcript's sale will go to Herzl Camp. And as the Christie's statement to the press maintains- albeit disingenously - it is one of the earliest known transcriptions in Bob Dylan's hand, if not actually a "Bob Dylan lyric." Whatever name you want to call this rose, it's more than just an interesting document for those of us fascinated by Dylan's roots, as "Little Buddy" appears to be the second known transcription he made of a Hank Snow song as a young man. The first was "The Drunkard's Son," a lugubrious tune with a sentiment closer to Victorian times than 19 and 47, which is when Snow originally released it on the Bluebird label. As many of Snow's songs were, "The Drunkard's Son" was re-released in April 1950 on the RCA Victor label, and is very probably another 78 that Bobby Zimmerman owned. Dylan's transcription of of "The Drunkard's Son" appeared in the August-September, 1992 edition of ISIS, which dated the manuscript circa 1952-'55, making the young Bob Zimmerman somewhere between 11 and 14. Although I don't have a copy of that magazine at hand, commentary on the Web suggests that the transcription was first thought - just like "Little Buddy" - to be a very early example of a Dylan attempt at songwriting, or more accurately poetry, apparently used by the young Bobby Zimmerman to woo a girl he was sweet on. 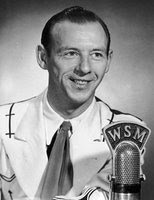 After the manuscript was published, someone eventually pointed out that the young Zimmerman's "Drunkard's Son," was actually Hank Snow's "Drunkard's Son," almost exactly paralleling the "Little Buddy" story. While I suspect that if we had looked through Bobby Zimmerman's record collection in the late `50s and early `60s, we would have found a wealth of Hank Snow, we know for certain he owned at least one other Hank Snow record. Clinton Heylin, in Bob Dylan: Behind the Shades (reissued in 2003 as Bob Dylan: Behind the Shades Revisited), quotes Dylan as remarking that he had owned the 1960 LP "Hank Snow Sings Jimmie Rodgers' Songs," as a boy, an album that impressed him so much that he was still calling it "different from the norm" in 1997. The normally reliable Heylin also mentions the Bobby Zimmerman "The Drunkard's Son" manuscript in the next paragraph, but confuses it with a Jimmie Rodgers song, "The Drunkard's Child," claiming that Dylan's version is modeled after that piece, which it isn't, and shares similar opening lines, which it doesn't. 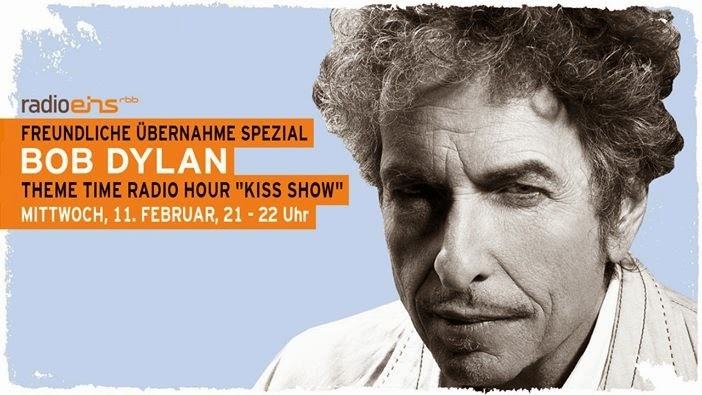 Adding to the confusion, Heylin then goes on to paraphrase the closing lines "I'm hiding with Jesus, who I'll always be by / And my mother, who I love so well," which are indeed from Dylan's (and Snow's) "The Drunkard's Son," but don't appear in Rodgers' 1930 song, "The Drunkard's Child." Apparently still unaware into 2003 that "The Drunkard's Son" was nearly a word-for-word transcription of Hank Snow's song, Heylin may have conflated it with Rodgers' "The Drunkard's Child" because of the similarities in the titles. In another weird coincidence, Snow actually did cover " The Drunkard's Child" in 19 and 59, putting it on his "theme" L.P. When Tragedy Struck, an album which also included "Little Buddy," just to bring us full circle, and probably yet another Hank Snow record that could be found in Bobby Zimmerman's collection. Figuring out how he could do it himself. Special thanks to "Johanna Moore" and "The Great Wandu" over at the Expecting Rain forums, and sometime Dreamtime commenters, whose posts put me onto "The Drunkard's Son"
Great post Fred. 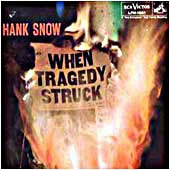 You wrote that the album When Tragedy Struck is, "probably yet another Hank Snow record that could be found in Bobby Zimmerman's collection" and to add to that notion I point out that that Hank Snow album includes the song "Nobody's Child" which was covered by the Traveling Wilburys. While Dylan most likely, based on what you have presented, learned the song from Hank Snow I'd wager that The Beatles learned it from Lonnie Donegan, who recorded it in 1953. I wonder who brought the song to the table when the Wilburys were picking material? Great sleuth work! With all the pitfalls of the Internet, here's an area where the Net surely shines--people correcting nonsense that is being passed off as fact. Even big-time auction houses and big-time biographers can occasionally get it wrong. But folks from all over creation will rise up to correct. Kudos! Very interesting post. I have to comment though on the phrase "the normally reliable Heylin". I found Heylin's book quite fascinating, but he really isn't very reliable at all. His book is absolutely riddled with errors, large and small. I found it to be one of the sloppiest pieces of scholarship I've ever encountered. Besides the kinds of factual errors that you note, there are numerous grammatical and spelling mistakes. For instance, at one point he spells "Main Street" in Santa Monica (where Dylan once had a studio) as "Maine Street". A very minor point, but it indicates that the book doesn't appear to have been edited or fact-checked at all. Even worse, basic and obvious errors that were in the first edition aren't corrected in the second edition, despite having 10 years to get it right. I also found that many of his interpretations and opinions are rather spurious. Like I say, I liked the book, but I certainly wouldn't rely on it as a factual source. He seems more interested in pushing his own opinions of Dylan's work than getting the basic facts correct. Without going into a case by case argument (a scholarly exercise which I do not wish to undertake at present), I concur with the doubts about Heylin's reliability. In his books there is much speculation (much of it not reasonable) unsupported by facts or good fact-checking. Enjoy reading his books; just don't trust them.